It is always important to not just create businesses that are unique and innovative, but also present them in attractive ways for a faster growth. Startups at Surge presented various models in some of the most unique ways. Read on. At Surge 2016 - World's Largest Tech-based summit, hundreds of startups presented their ideas at their stalls, showcasing their tech-based business models to everyone. It would have obviously not been unusual if anyone got confused of which stall to reach out to, amidst hundreds of them. Many startups decided to attract the attendees’ attention through creative ways. Automatically, many attendees of the summit happened to first reach out to the stalls that were more attractive. The crowd was mesmerized when they found an astronaut walking around the summit. They began to approach him as the curiosity increased. They were later made aware that it was for the promotion of one of the startups - Apnacloud, India's first ever cloud 'completely Indian' cloud storage service. 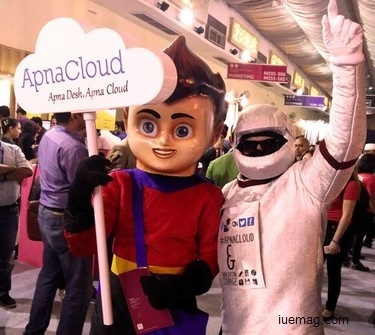 The astronaut mascot spoke of how his team together have worked together to create an Indian cloud for the customers. ApnaCloud stores all data in India and on its own highly secured Data Centers, not on any third part data centers located in foreign countries. Such ventures only become a strong supporting pillar to Shri. Narendra Modi's vision of 'Make in India'. While on one side, the astronaut continued to make the crowd aware about their platform, there were some chefs who were talking to people around. Having known that there were no food counters around, people reached out to see what these chefs were doing with computers. Oh! 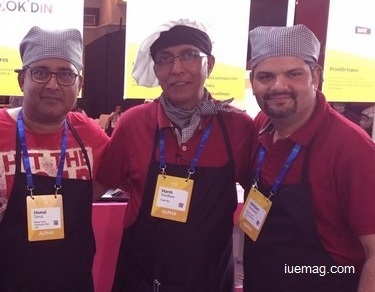 They weren't chefs, but it was the team that had built a unique platform called Cook’dIn. Cook'dIn, a startup based from Gujarat, provides an online platform to help with the same goodness of home cooked food. Abhijeet Goswami, co-founder of Cook'dIn said, “We as travellers ourselves have experienced food that doesn’t really taste the traditional way it has to be. We realised the need for home-cooked and traditional food that is healthier. That’s how we started!”. SME Corner, an early stage startup, also happened to give away joy to the whole crowd by helping them get rid of stress through stress relief balls. SME Corner, India's first online platform for SME loans, was also one of the runners up, amidst those startups that presented their elevator pitches. 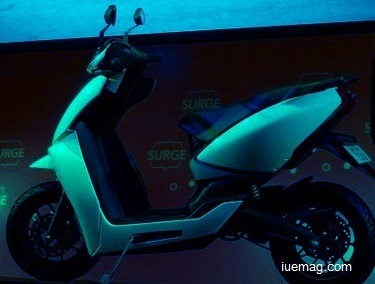 Ather Energy launched its Ather S340, India's first smart electric scooter. There were many ventures whose names were attractive themselves including Hashtaag, Kabadiwalla Connect, BlowOut, GoodAt, Match[My]Talent, Valumni networks and more. Hundreds of startups tried to pitch across their venture ideas in different ways and presented themselves in different forms. Such ideas only helped the rest of them come up with some innovative concept to present their ideas. The two days of the Surge 2016 tried to provide a lot of learnings to the startups, to not just innovate in terms of the implementable model of the venture, but also in terms of marketing perspectives. Surge continues to work with relentless passion to make it bigger for the next year to help more startups grow through their platform. Kudos to the team, whose efforts led to the success of the event!